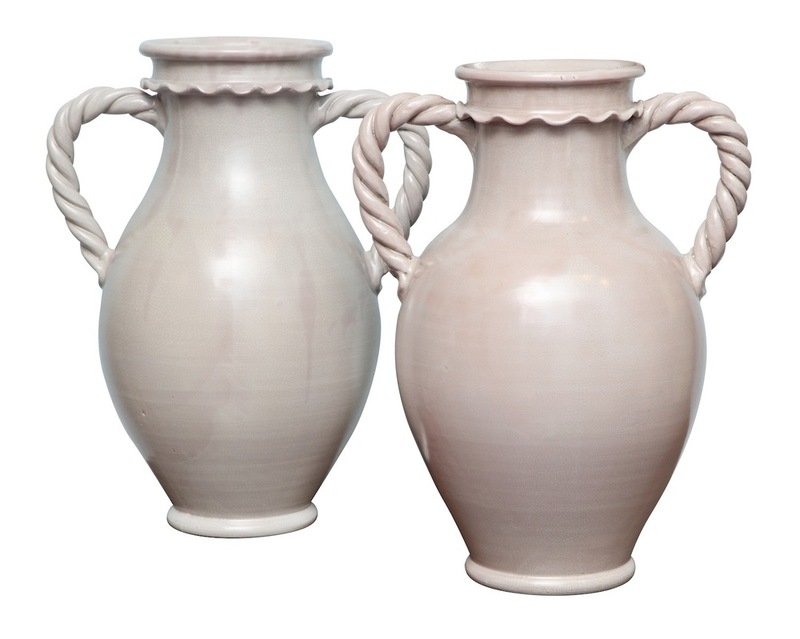 Wheel-thrown, terra cotta vessels with applied, braided handles & lip. 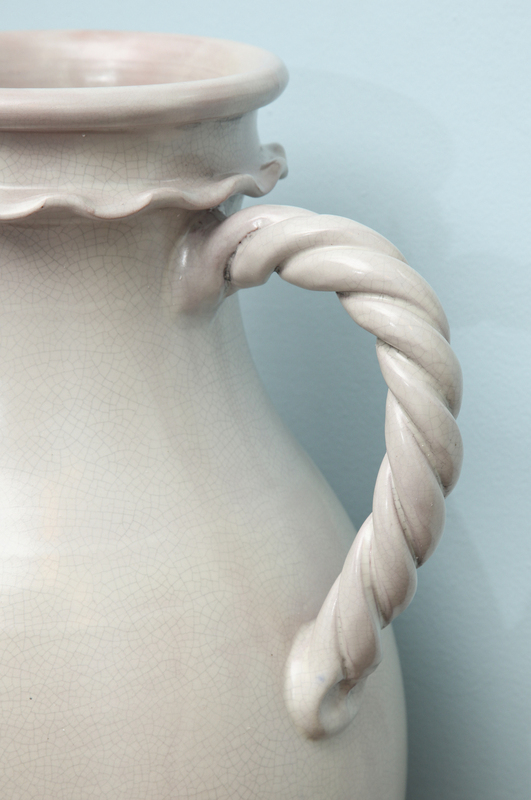 Pale crackle glaze throughout. *A second matching pair is available. h. 24" w. 18" diam. 13"